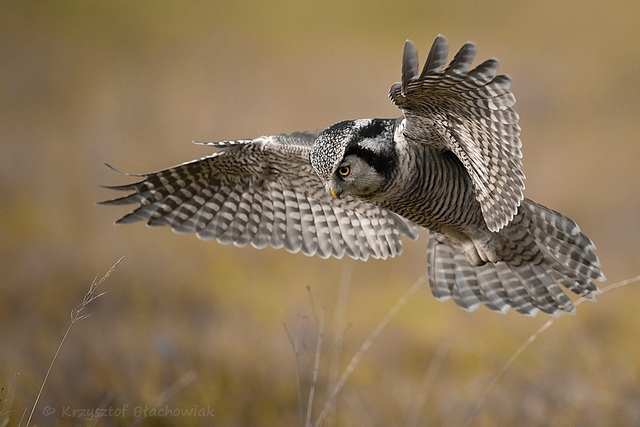 The Northern Hawk-Owl is a very rare appearance in Western Europe. Normally it breeds in the boreal forests of Russia and Scandinavia. 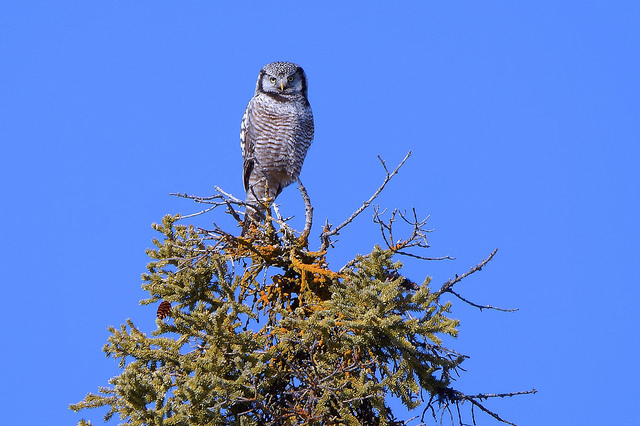 It stands out for the stripes on its body and its long tail, making it look like a Sparrowhawk.